This is hopefully the easiest and most delicious stew you’ll ever make. 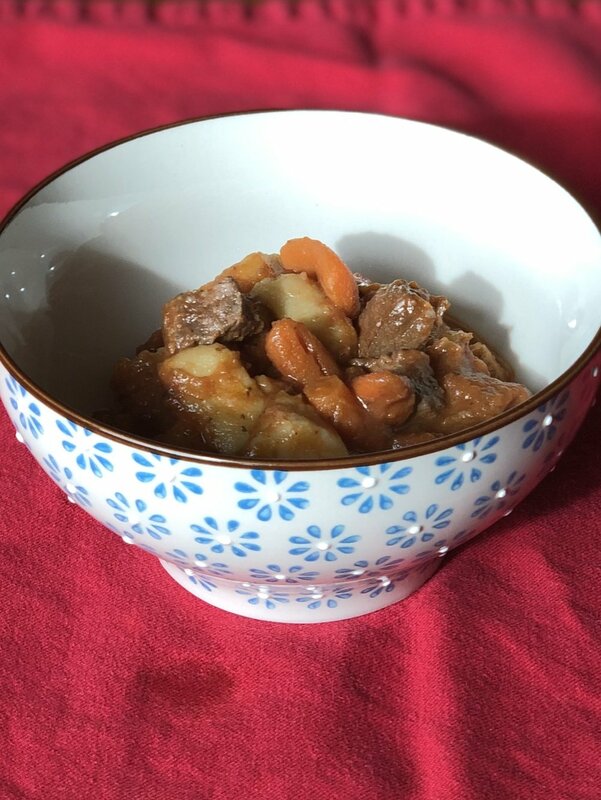 Lean beef, chunky potatoes, and colorful carrots and green beans. Kid-friendly and healthy! Savor it on a cold night with your family and friends and you’ll be ready to curl up for a long winter’s night. Merry eating! 1. Heat Oil in a large pot. Add beef, and brown. 2. Add Broth through Red Wine. Simmer, covered 2 hours, stirring occasionally. 3. Add Green Beans at least 20 minutes before serving.